← Jobs disappearing. Is yours? This is Laura Best‘s second novel. As Laura told us in this interview, Flying with a Broken Wing is a young adult novel set in a fictitious community in Nova Scotia. Nearly twelve-year-old Cammie is the main character in Flying with a Broken Wing, and we get to see most of the adventure from her perspective. She is a young girl with a big dream – the dream of somehow starting a better life for herself. All Cammie knows about her past is that her father was lost in the Second World War, her mother left her with an aunt who is the local bootlegger, and now her life feels full of shame and disappointment. Her aunt is harsh and not the most popular person around – among people who don’t buy moonshine, that is. Add to that the fact that Cammie’s eyes don’t work well. Being visually impaired has been a terrible burden, especially when everyone treats her differently because of it, and her aunt doesn’t even want to let her go to school. To Cammie that is very unfair, especially when she wants to go! When Cammie learns about a school for the blind in Halifax, that becomes her new goal and her hope for the better life she wants. Cammie gains a friend along the way, one her aunt does NOT approve of because of her own personal reasons, which suits Cammie all the better. That’s when the excitement really begins … and the hilarity, and the trouble – big trouble. What kind of trouble? you may ask. Well, I’m sorry but you have to read about that yourself. Let me just say, it was a daring and dangerous plan, and the author certainly held my interest! Now I’m hoping for a sequel. This is a delightful young adult novel for anyone to read. Laura Best created very believable characters in a post-war community setting. She is expert at writing real people who talk and act as one might expect, including some who aren’t always nice. If you have never had the privilege of reading any of the author’s work, read this one. 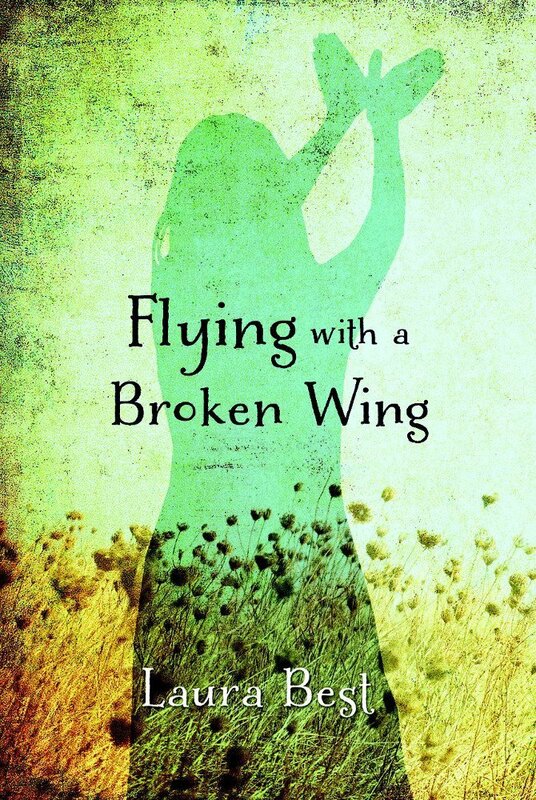 You can find Flying with a Broken Wing listed on my BUY THE BOOK! page. Please return here for an interesting interview with Laura Best – to be posted April 17’14 – after which you will have the opportunity to try to win a copy of “Flying with a Broken Wing” donated by Nimbus Publishing located here in Nova Scotia, Canada. This entry was posted in Miscellanea, Mostly About Reading and tagged Book review, bootlegging, Flying with a Broken Wing, friendship, Laura Best, Nimbus Publishing, visual impairment, Young-adult fiction. Bookmark the permalink. Nice review for a wonderful book. As with all of Laura’s writing, it’s not only what she says, but her unique way of saying it — always such a joy to read. A great talent from a small place in the middle of Nova Scotia. Yes, Erik, I think you could, but if you have any doubt just ask your mom to contact me about it. This is a good story with some real life stuff but not in a bad way. I’ve heard of this book. 😉 Thanks for the lovely review, Lynn. As always, your support means so much. It is my pleasure, as always. I loved this book as I enjoy Laura’s writing style. She tells a compelling story and, as you said, introduces us to some very real characters. Great review. I am looking forward to the sequel, which I expect will be just as good. Thanks for your comment, Darlene. Thank you, Lynn, for the interview and the book review. I’m looking forward to reading Laura’s newest. It sounds like a wonderful novel, full of beauty in the words, characters, and the story! It was fun, Sue. Laura writes with such insight, it’s a pleasure to become immersed in her books.